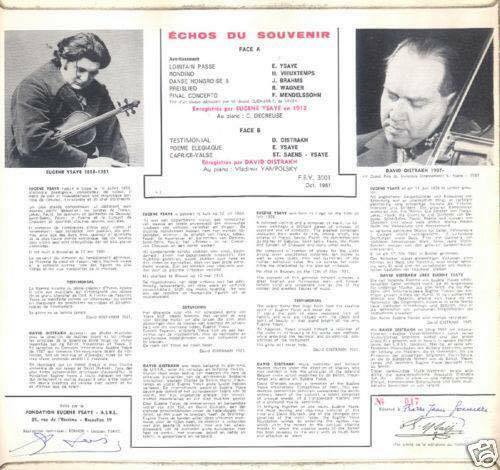 Ysaye looking at his 1740 Giuseppe Guarneri del Gesu. 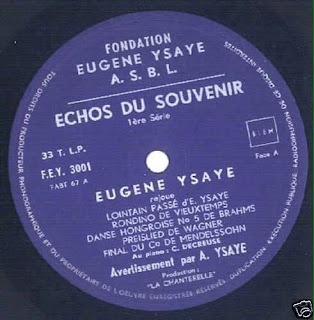 In 1928, when the violin was being repaired by the luthier Joseph Hel of Lille, Ysaye asked for a label to be inserted with the inscription "Ce del Gesu fuit le fidéle compagnone de ma vie" (this violin was the faithful companion of my life) wich it still bears alongside the authentic undisturbed label of its maker. Late made in Belgian on Foundation Eugene Ysaye A.S.B.L FEY 3001 dark blue mono label, 33rpm, 12inch LP. 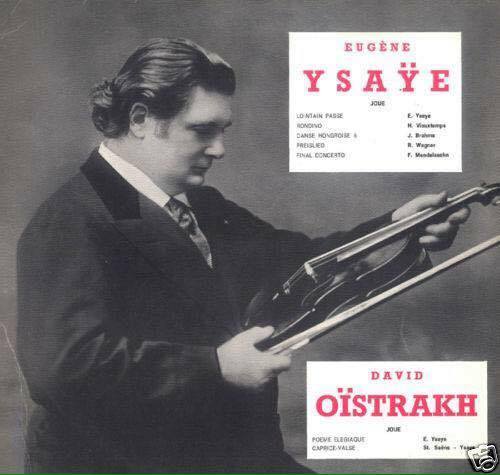 Eugene Ysaye and David Oistrakh plays a recital from Echos du Souvenir.